We all know that running is an addictive sport and marathons can often be a gateway distance for something much more serious: ultras. If you fear you are heading in this direction and wanting to find some beginner friendly ultras, here are some suggestions from Cat Simpson, who’s involved with WMN Run, an initiative to try to get more women into endurance running. 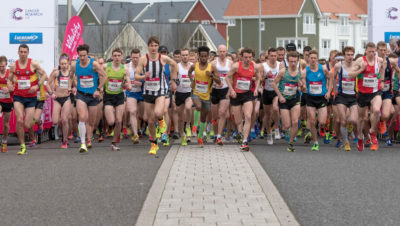 XNRG organise multi-day races covering achievable distances – roughly 26-30 miles – with most of their events being over two to three days (or you can enter individual days). They offer something for everyone, from runners to walkers, and are a great introduction to ultra running. One of the highlights is the all-inclusive nature, with catering in between stages and the opportunity to socialise with like-minded people, and bed down together in communal sleeping facilities (don’t forget your ear plugs!). XNRG events include the Pony Express (60 miles over 2 days in October in the New Forest), the Druid’s Challenge (84 miles of beautiful Ridgeway over 3 days in November) and The Pilgrim Challenge (66 miles of the North Downs Way over 2 days in February). Find out more about their events here. The Centurion South Downs Way 50 and North Downs Way 50 are good first ultras to consider. A 50 mile race may not sound beginner friendly, but Centurion races are brilliantly organised, with impeccable course-marking, well-stocked aid stations at regular intervals and friendly volunteers. The South Downs Way 50 (in April) and North Downs Way 50 (in May) both take in point-to-point routes on National Trails, with manageable amounts of elevation for those of us who aren’t natural mountain goats. Centurion do four 50 mile events (in addition to SDW50 and NDW50 there’s Chiltern Wonderland 50 and Wendover Woods 50) so there’s plenty for any budding ultra runner to have a go at. Wendover Woods 50 is probably less suitable for a beginner (it has 3,050m of ascent) but the others are all ideal for a first 50 miler. There’s a minimum entry requirement of having run a marathon in less than the cut-off time. 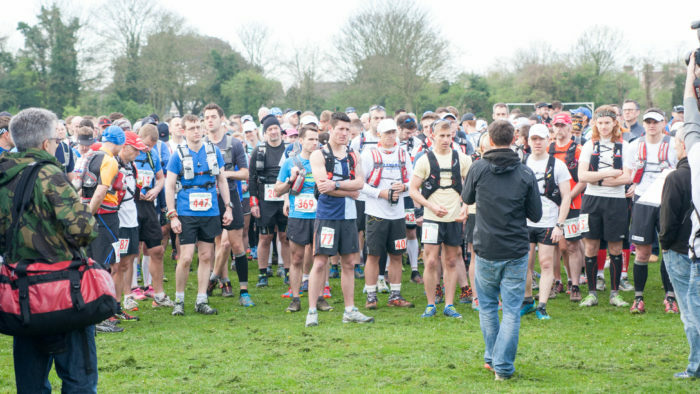 Find out more about all the Centurion 50 mile races here. Held in January, this is a roughly 43 mile route organised by a small company raising money for numerous charities. Granted, it can be wet, cold and windy at this time of year, but it has the added bonus of finishing (pretty much) in the pub and you can feel smug about ticking off an ultra while most of your mates are giving up on their New Year’s resolutions to get fit. The race starts in Wendover and finishes in Little Venice, a stone’s throw from Paddington Station. 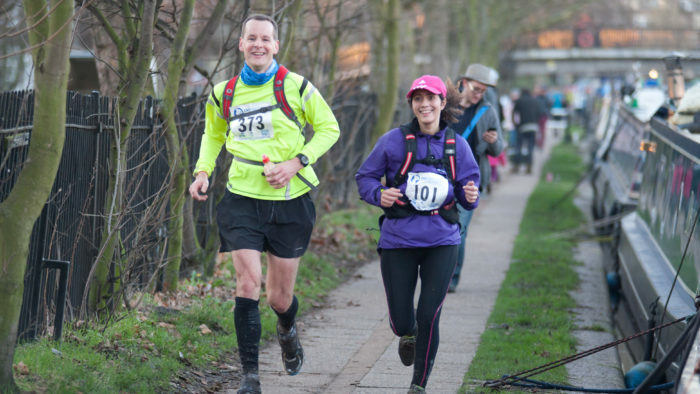 The event organisers, Go Beyond Ultra, also put on the Thames Trot (50 miles) and Shires and Spires (35 miles), which are also great, beginner-friendly events. Find out more about all their events here. 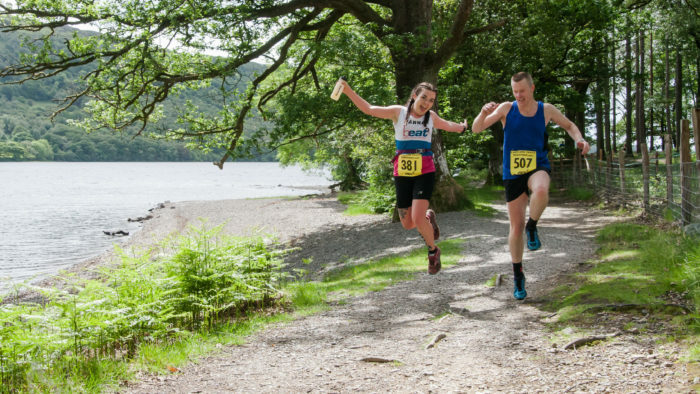 Lakeland Trails organise a series of races of a range of distances, from 5k to ultra, so there’s something for everyone and they’re all set in stunning locations in the Lake District. 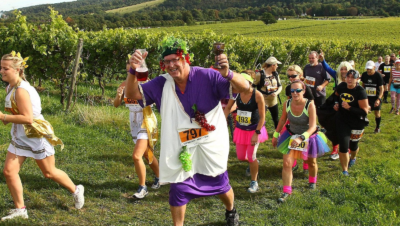 Courses are well marked and marshalled, with a festival atmosphere and live music, food and drink and the start/finish. The vibe is friendly rather than competitive and their races offer a great introduction to running in the fells without needing to navigate. The 55k Ultimate Trails race has a testing 2,100m of ascent but is run on good footpaths and bridleways , so is a good race for those new to ultra running. Find out more about Ultimate Trails and all the Lakeland Trails races through the year here. A slightly different way of testing out your body at ultra distances is to try a 24 hour race, like Endure24, which takes place in both Reading and Leeds in June. The format is laps of around 5 miles, so you can test your limits but also stop when you want! You can even stop, have a sleep, then carry on, which is a good way of finding out how your legs will cope with a multi-day. 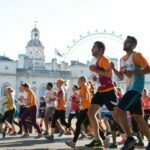 You can enter as a solo runner, a pair or even as a team and you’ll be surprised how much mileage you can rack up, in a controlled and, dare we say, ‘fun’ environment! 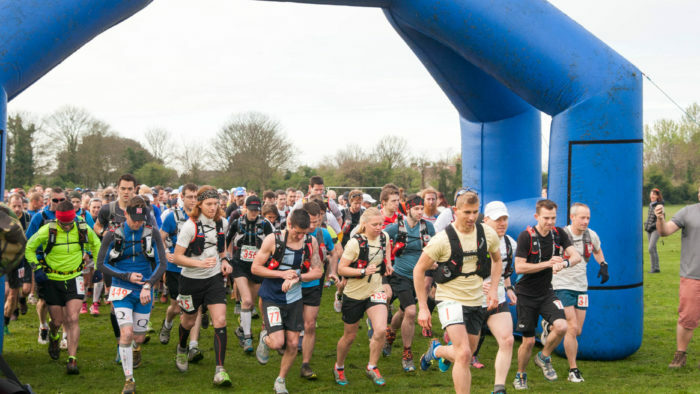 Find out more about Endure24 here.